I am appalled at the lack of Irish content on Irish radio. 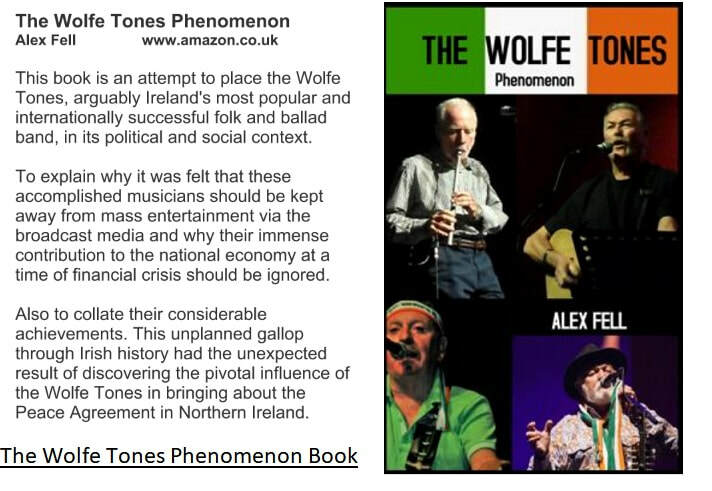 I have done many interviews over the recent times and could not believe that, first of all, they had no Wolfe Tones music in their database or at best maybe 1 or 2. The DJ’s have none or little choice in what music is played or in the content of his/her show, even on local radio. For instance I gave an interview lately and they played Michael Jackson as a musical introduction and I was played out by the Spice Girls! This is Irish Radio, its crazy, like Jackson's 'Man in the Mirror', it reflects him, radio should reflect the Irish music scene and Irish content. It should be made compulsory as part of their licence agreement to have at least 50% Irish content in each show. Many other countries have a similar policy, Canada for example, living beside a powerful nation with a very influential musical industry have a similar one to this, 60% I think. Why shouldn’t we? 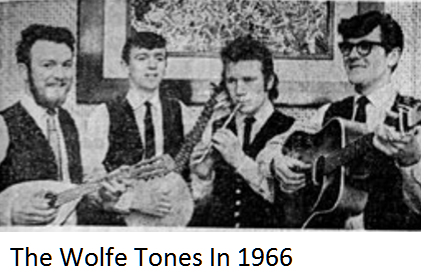 Thousands of jobs would be created in the Irish musical industry in recording studios, for song writers, Musicians, road crews and technicians. We are a great musical nation but there is a policy on our airwaves that favours imported music over that which is locally produced. Now this puts Irish talent at a disadvantage, I object to the fact that they get more exposure than Irish local acts who are equally as good and in most cases put on a better show or equally as good. Don’t get me wrong, I welcome international acts to Ireland, we travel the world and get fair treatment in the many lands we have toured but so too do the indigenous acts. We shared the stage with many great performers in many places across the world including Siamsa and anyone who remembers them will vouch for the fact that the Wolfies could hold their own with the best of them. Tommy was right, there are over 1,900 folk songs on this site, there's more chance of winning the lottery that any two of these songs getting played on our radio stations in a row.